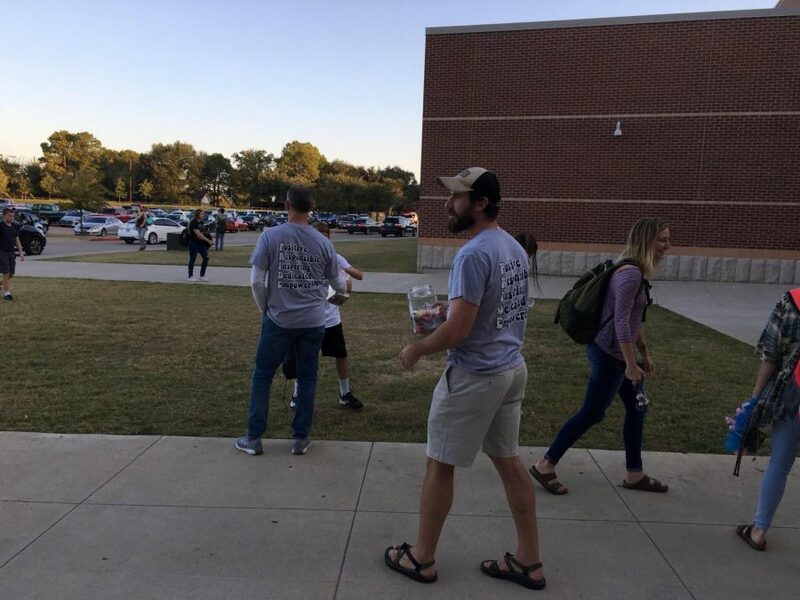 Everyone has seen the dads, handing out candy at the doors on Friday mornings, but most don’t know who they are.These men are part of the school’s Grateful Dads program. Their goal is to welcome kids to school and help them have a better attitude on going. Wael Chatila, a grateful dad positioned at the front of the ninth grade center, described how he sees the program as a way “to get involved with the kids and to put a smile on their face. And get them to interact with adults.” For the dads, this involves greeting everyone who walks into school and offering them candy to help the students start their day off right. Chatila explained that “seeing them smiling,” was the most rewarding part of being a Grateful Dad. “A lot of them walk in like ‘I have to go to school’ and then they see [the dads] and they see the candy” he says. For many, this helps brighten their day and it makes Fridays better. “Getting involved with the kids” is the driving reason behind why Chatila became a Grateful Dad. he says that he did it because “I like dealing with kids.” Being a Grateful Dad isn’t a full-time job, or even a paying job though. The Dads greet students in the morning, and then head to their jobs afterwards. They have kids that attend Flower Mound High School as well. Wael Chatila’s son “thinks it’s pretty cool” that his dad is a grateful dad.